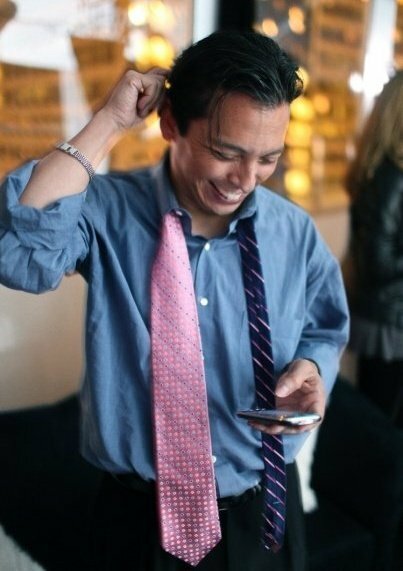 I recently interviewed Brian Solis, author of the new book, Engage: The Complete Guide for Brands and Businesses to Build, Cultivate and Measure Success in the New Web. He is also coauthor of the book, Putting the Public Back in Public Relations. During this interview, you’ll gain some great social media insight, discover some key mistakes businesses make, and learn which corporations are excelling with social media. Brian: Yes. We can’t rest on our laurels based on the successes of others, because this medium, the processes, the techniques, the cultures of social networks are evolving quickly. So applying templates to them or assuming confidence in past experiences don’t last long enough for them to be promising for the future. Mike: What you’re really saying is that you should constantly make sure you are experimenting and studying what others are doing to ensure that you’re on the edge? Brian: Yes, but not just on the edge. You must be able to bring what’s on the edge back to the center. In the process, you actually contribute to the evolution of the industry. Mike: I know you’re a big advocate of blogging for business. Can you give us some of the biggest mistakes you see corporate bloggers making and why you think they’re making them? Brian: The biggest mistake I see is they’re not blogging. The secondary mistake is that they’re using blogs as just extensions of every other push medium they have in operation today, whether that’s a marketing sheet or a website. A lot of times I’ll read corporate blogs and they’re very self-serving or they’re very shallow, or they’re just done because you’re told you need to do it and you’re supposed to introduce or inject passion into it. If you look at some of the blogs like 37signals, their blog ultimately became a book in terms of the lessons they share there. It’s just a value-added resource. You go there as a destination so that you can learn, and you can walk away with direction and empowerment and inspiration. Mike: Let’s talk about a big company or two that you feel are doing social media right. What are they doing? Brian: One is Starbucks because they’re experimenting. It goes back to the part where we were discussing being a student of new media. You see what they’re doing on Facebook and Twitter. They’re absolutely engaging. They’re rhythmic. They have a programming or editorial calendar in place and every day there is something new. There are comments, questions, and polls. There are things that are offered in terms of incentives or rewards. But they’re also doing things that show they’re trying to actively grow by going to where people are specifically. For example, Starbucks did something very interesting with a company called Klout that didn’t get much fanfare, but it’s really interesting in terms of what’s to come in social media. Klout is a service that allows you to identify influencers on Twitter. Influencers are people who can move the needle around certain topics. Starbucks decided to test it. They went to Klout to find all of the influencers around coffee, those people who have the ability to drive activity. They went out and rewarded all those influencers with free samples of their Pike’s Peak coffee. What better way to reward somebody for their level of influence that they’ve attained and maybe earn some relationships in the process, or at least attention? Mike: In addition to Starbucks, can you talk about one other well-known company that you think is doing social media well? Brian: Dell. Here’s one of the reasons I find them to be so fascinating. This again is a lesson that is taught in the book. There is a whole chapter about this idea. One of the things that works against any champion of social media is the culture of the company. But really where the potential of social media is realized is in your ability to learn from engagement and adapt accordingly, and to introduce or evolve new products and services that are more meaningful to the communities or the marketplaces where you’re trying to earn greater market- and mindshare. Dell has demonstrated that their organizational culture gets it. It’s from the bottom up, it’s from the outside in, and it’s from the top down. Michael Dell believes in this so much that he spends weekends and evenings working with his teams to figure out ways they could be more relevant. Plus, the team gets motivated by it. Mike: What are your views about Facebook fan pages? How important do you think they are today and how important will they be two years from now? That just sent everybody into a riot. Twitter is beloved. Twitter really puts the “me” in social media, because we bring a little bit of ourselves to that. Even though we do so with Facebook, there is something a little bit special or personal with Twitter. Twitter has even said this. It’s less of a social network than an interest or themed network where individuals are forming relationships around context or interests. The Facebook fan page, or the “brand page” as I call it, is a hub that can guide and drive experiences, but also can define them. By “define,” I mean it’s one thing to have interactions on the wall. It’s one thing to respond to comments. It’s another thing to be able to customize those tabs. If you think about it, FBML, that language that you’re able to use to customize these tabs, allows you to do some really fascinating things. Not too many people understand that you can actually install Google Analytics on a tab in Facebook so you can start to measure the activity—almost like you can with your website analytics, to get intelligence necessary to improve the experiences. So, Facebook is probably, in my opinion, one of the most underutilized networks out there from a programming standpoint and from an engagement standpoint. I’m bullish on it, if you can’t tell. Mike: I honestly do believe that’s where it’s at right now. I actually tweeted recently, “I can’t believe I’m actually enjoying Facebook more than Twitter.” I almost had to cringe when I said it. Brian: I call it the attention dashboard. Facebook is like an attention hub. I’ve created an attention dashboard that pulls in content from all different types of sources across multiple networks into one place based on keywords of interest tied to levels of influence so I can at least get the skinny on certain things. Mike: Is this a custom thing, or do you use a public tool? Brian: It’s a custom thing. Mike: You’re going to have to release that as a product. Brian: I released part of it as a product with the help of Christopher Peri. It’s a product called FriendFilter. It added this level of intelligence to surfacing the people who are following you on Twitter, for example, but only showing you the ones who might be of interest to you so that you could consider following them back. Mike: So the attention dashboard is how you keep up on the hottest and latest trends in the industry and that’s how you decide to write content for your blog? Is that correct? Brian: No, that’s how I stay smart. I write on the things that move me at an emotional or intellectual level, or if there is something incredibly important that I need to share with people, to get them to move in a particular direction. Mike: Where do you see social media headed in the next few years? Give me the mile-high view. Brian: About a year ago, I talked about the idea of syndication and aggregation, meaning that we were going to be subjected to multiple networks to which we’d have to pay attention, as well as mobile networks to which we would also have to pay attention using other devices. At some point, all of these things are going to have to aggregate in some way, shape or form, where we could have a strategic presence. Look at services like Check.in, where you can immediately broadcast your presence. Let’s say I show up at the Westin Hotel in San Francisco—I would use a service like Check.in to broadcast or syndicate my presence to Foursquare, Gowalla, etc. Those are all temporary bandages to address a bigger issue. That is, how are you going to manage your strategic presence online? And also, how are you going to stay connected to those who matter to you without having to be across multiple networks at the same time? What the future holds, I believe, is this idea of semantic intelligence and filtering that are going to allow a lot of this to work for you without you having to do everything manually. We see tastes of this on the horizon even now with companies like my6sense. I don’t know if you’re familiar with that company. You run your Twitter feed through it, and through that, it’s able to learn how you interact with the feed. As it learns more about you—and this learning is very rapid—it only feeds you the tweets, or at least at the top-line tweets, it feels would be most appropriate for you regardless of when they were published, earlier today or at the moment. It learns and it gets better as you interact with it. If you follow thousands of people, imagine how wonderful it would work for you over time. Imagine applying that same technology across multiple networks into one stream or into one river of relevance, if you will. Mike: Brian, where can folks learn more about you? 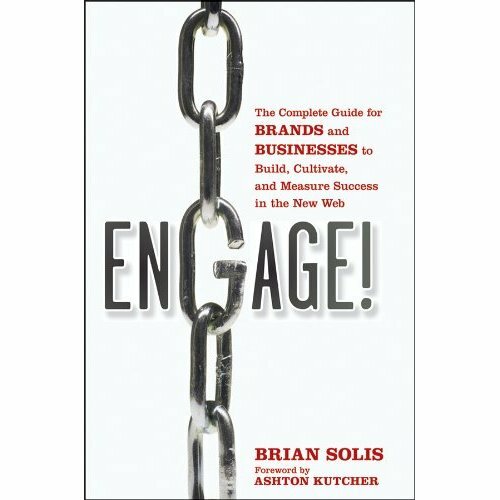 Brian: They can learn more about me at BrianSolis.com, on Facebook, Twitter which is @BrianSolis, or they can pick up the book Engage!, which is hopefully at a bookstore near them or definitely on Amazon.com and BarnesandNoble.com. Mike: Brian, I just want to thank you very much for taking time out of your day. You’ve been a great fountain of knowledge. I’m looking forward to seeing some great things from you. Brian: Thanks so much. I do really appreciate it. Congratulations on all your success as well. 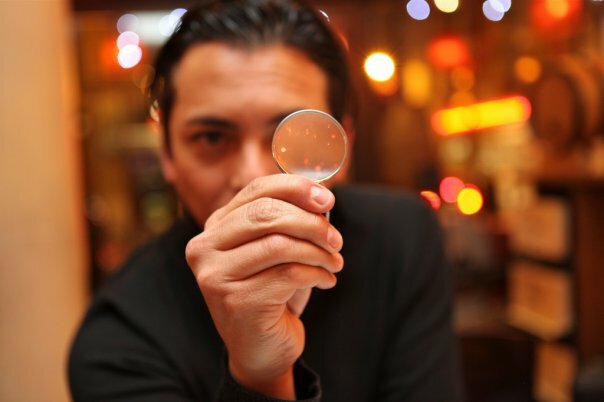 What do you think about Brian Solis and his recommendations? Leave your comments below.